A bruise is a collection of blood under the skin, which happens as a result of soft tissue injury. People often get bruises after a knock or bang, strain or sprain. However, bruising can also happen because of more serious injuries such a broken bone or internal bleeding. 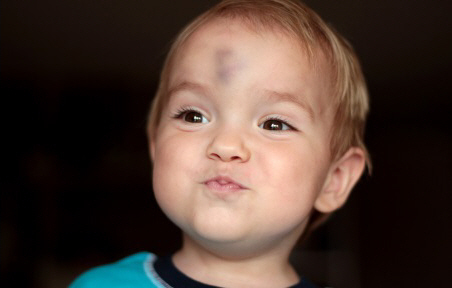 A bruise might be blue or purplish in colour. It might not appear straight away. It can also be painful or tender to touch, and it may be swollen. To minimise any problems from bruising, follow the advice in Soft tissue injury & RICE treatment. the bruised area becomes very swollen or very painful.